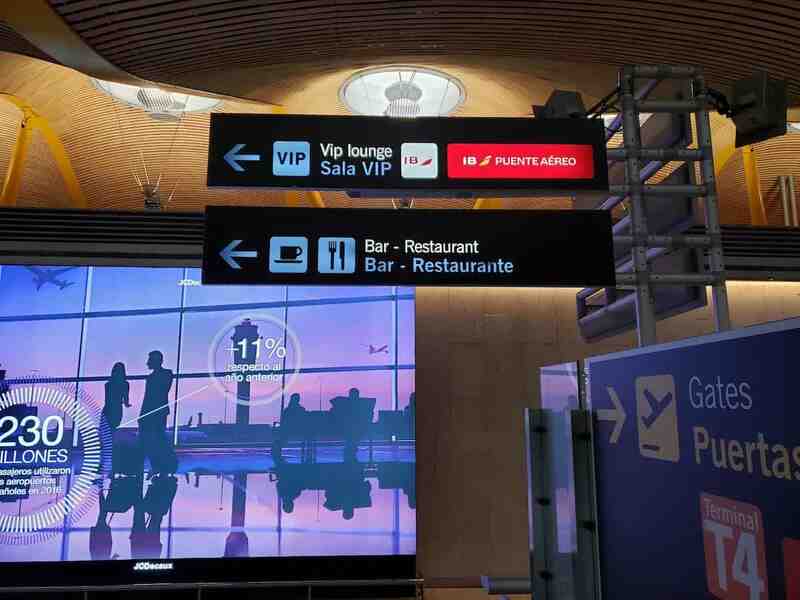 After my flight from LAX, I had a two hour layover in Madrid. 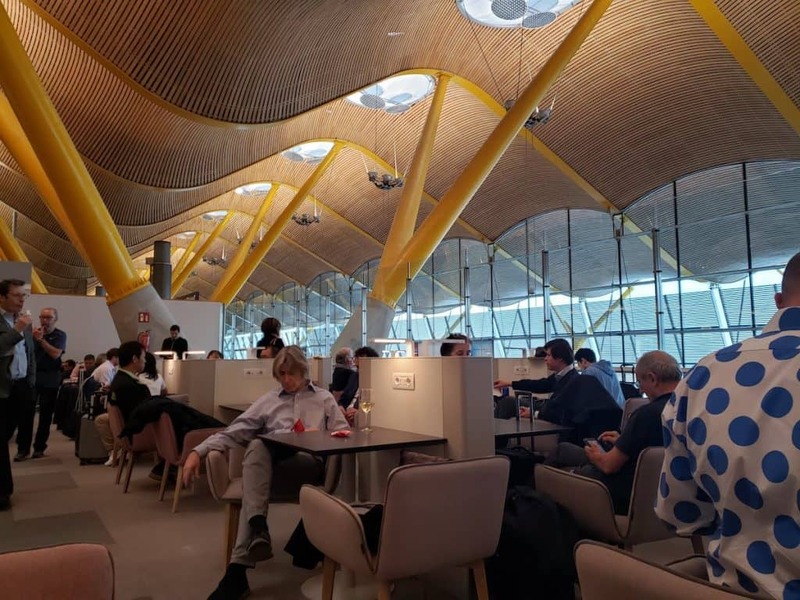 My onward flight was leaving from Terminal 4, so I decided to visit the Iberia Premium Lounge Dalí — Iberia’s one lounge in Terminal 4. 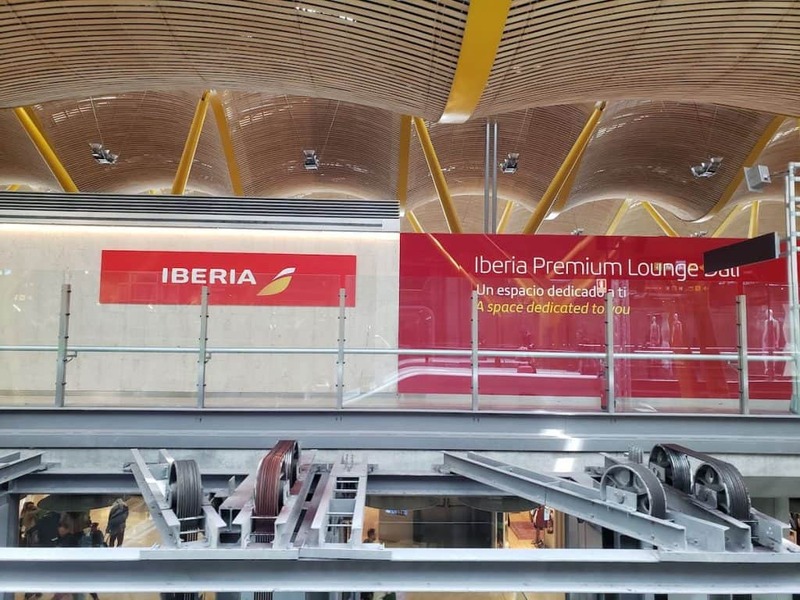 In terminal 4S you will find the Iberia Premium Lounge Velázquez. 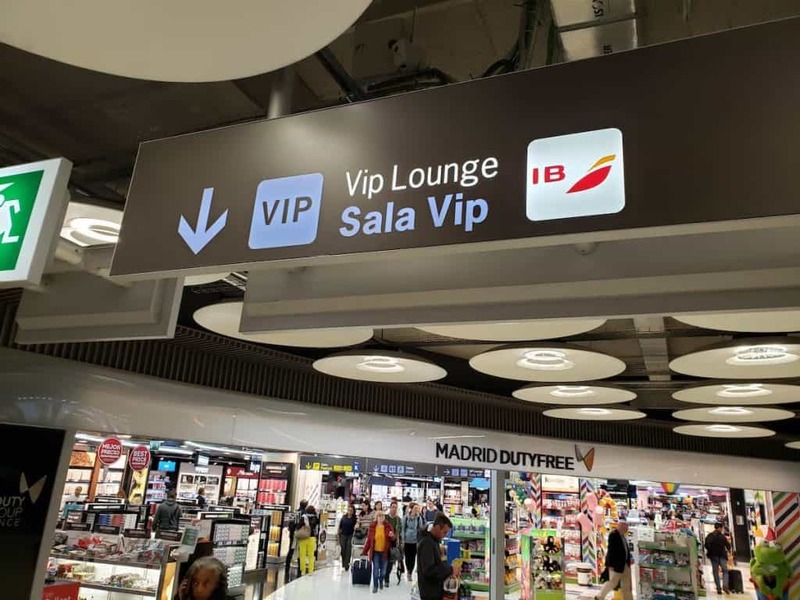 Access is granted to those flying Business Plus Class on Iberia as well as those with oneworld status. 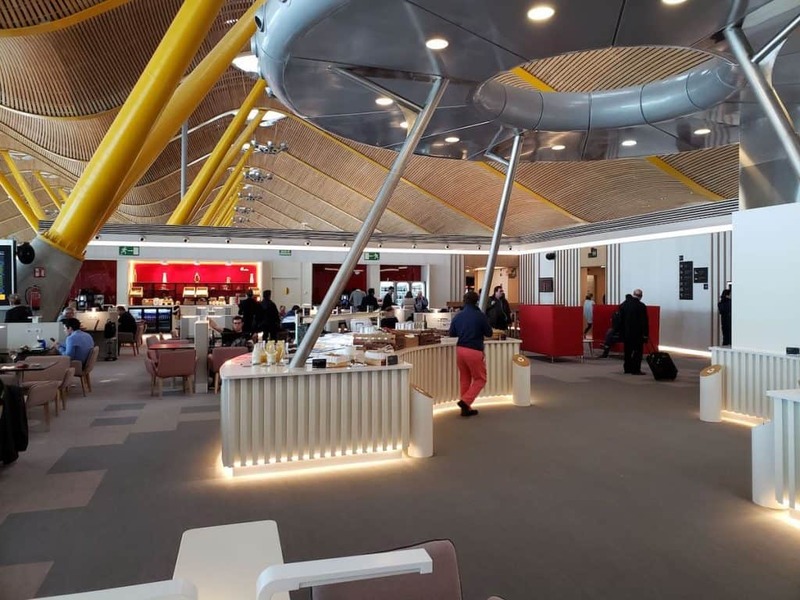 Even though I was continuing on in Economy, my flight in to Madrid enabled me to use the lounge. 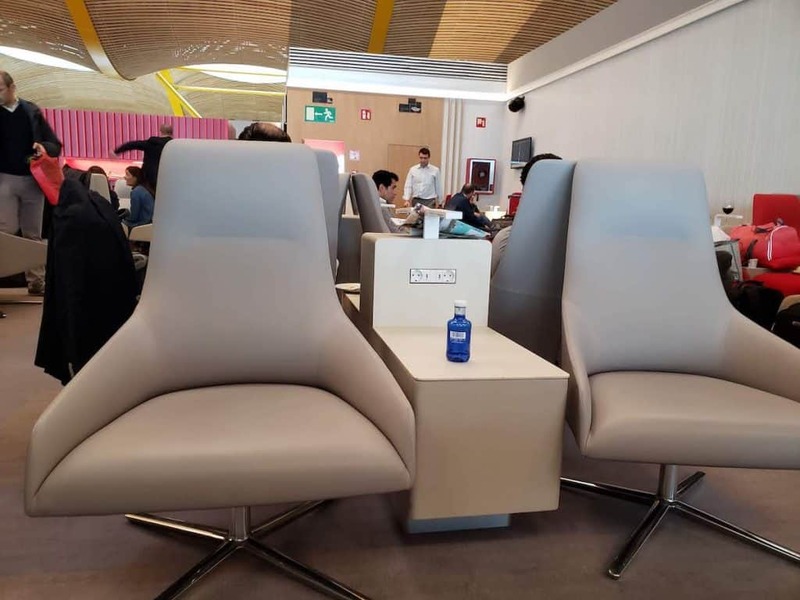 When connecting from Terminal 4S, the lounge is a bit difficult to find. I find the signage in Madrid’s Terminal 4 to be useless, all signs direct you through the duty free shop even if that is not the quickest way. 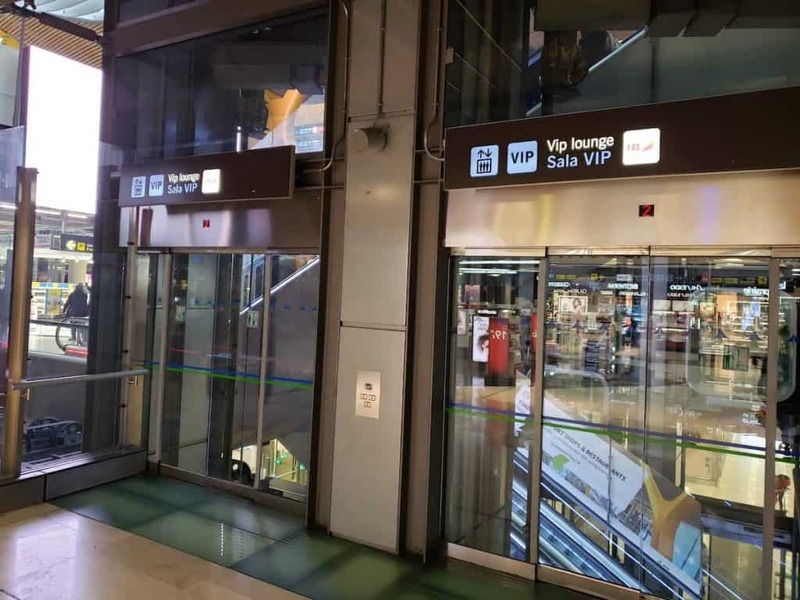 Essentially you want to get to the mezzanine floor (floor 2, one floor up from the main concourse). 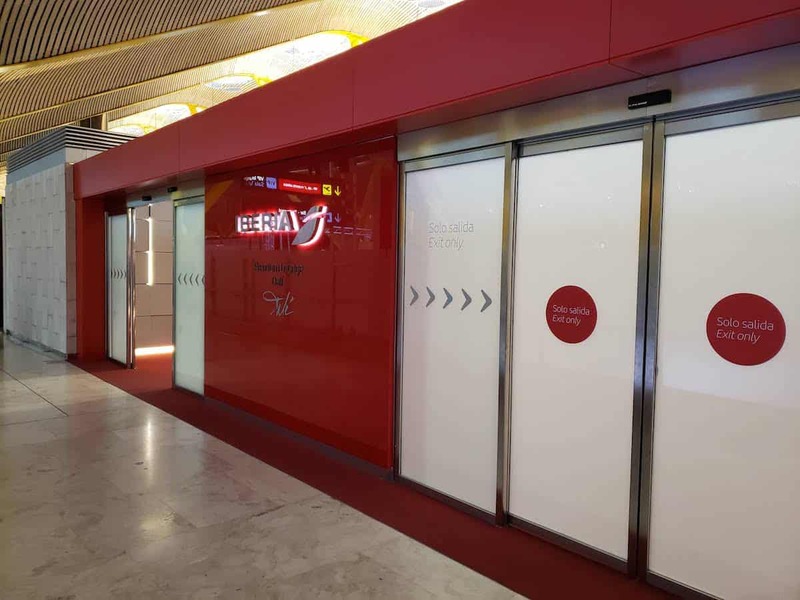 The best way I could find to get there coming from T4S is via an elevator off the duty free shop. 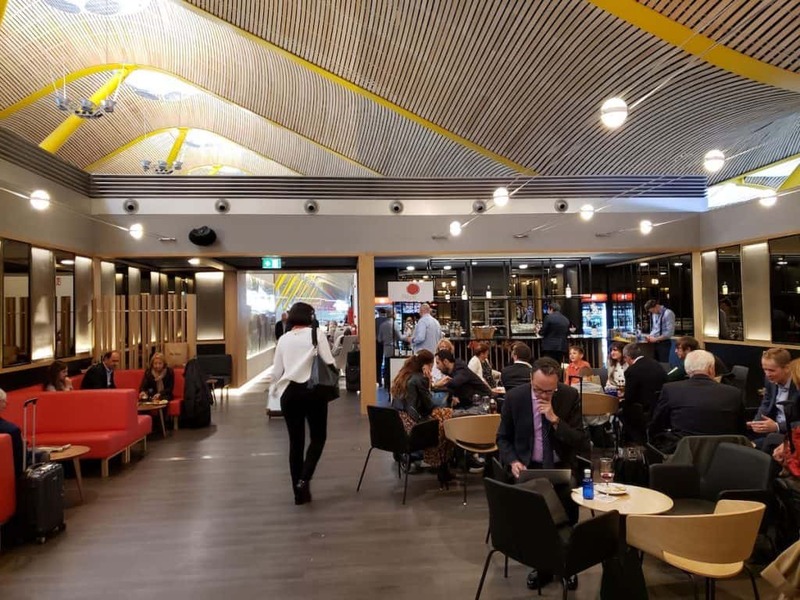 If you are arriving at Terminal 4 (not connecting), the Iberia lounge is just past security and much easier to access. Once you walk through the sliding doors, the easiest way into the lounge is to scan your boarding pass at the turnstile to the left of the front desk. Otherwise, show your boarding pass to the front desk agent. 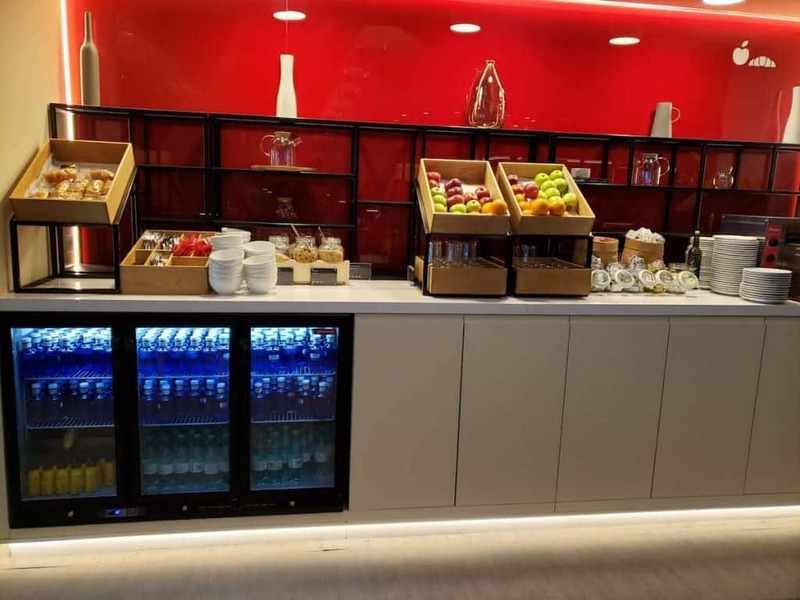 On each end of the lounge is an identical buffet with sandwiches, snacks and a small salad bar as well as self service wine located under the UFO. The only hot option was some soup. Against the wall is the beverage station with self service bottles of water, soda, tea and coffee. 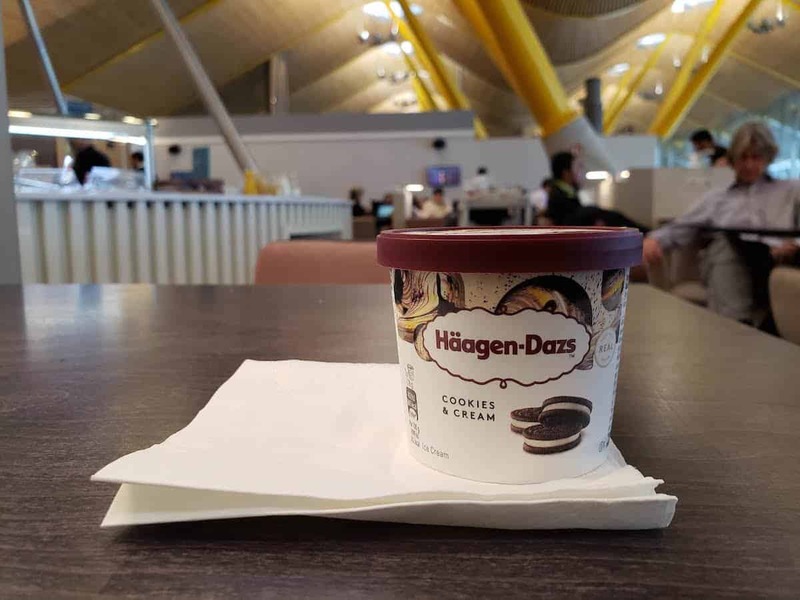 Look closely in the buffet area for a hidden freezer with ice cream. 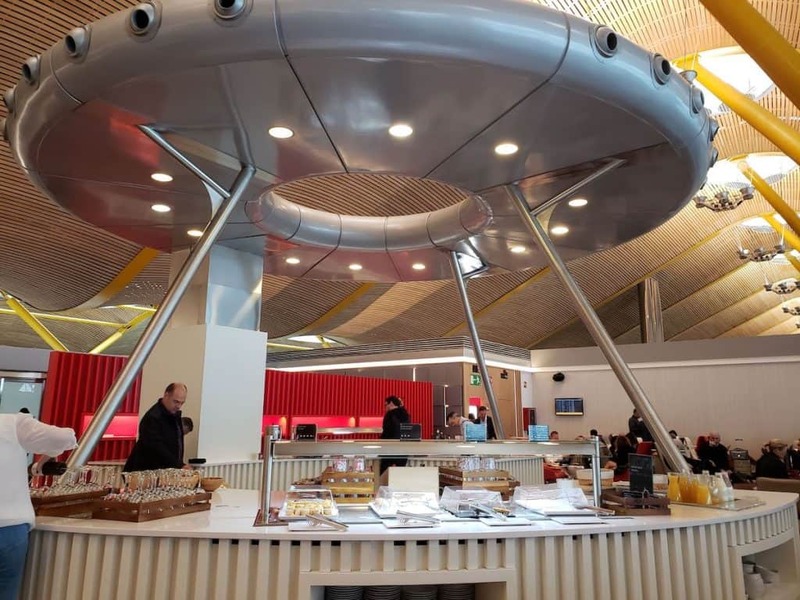 Hint: look for a metal lid on top of the buffet counter under the UFO. When I arrived around 2:00pm, the lounge was extremely crowded but by 4:00pm it was much more manageable. 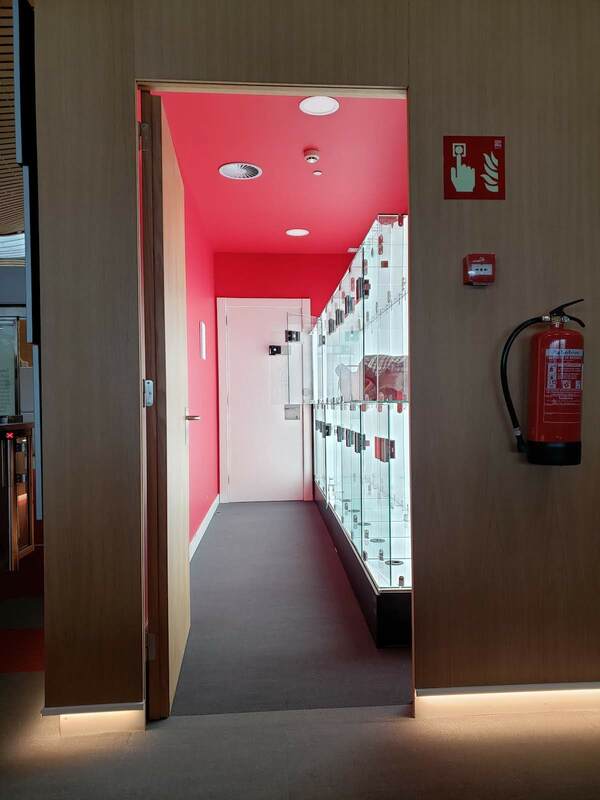 There are various seating arrangements including high and low top tables, chairs and computer work stations. 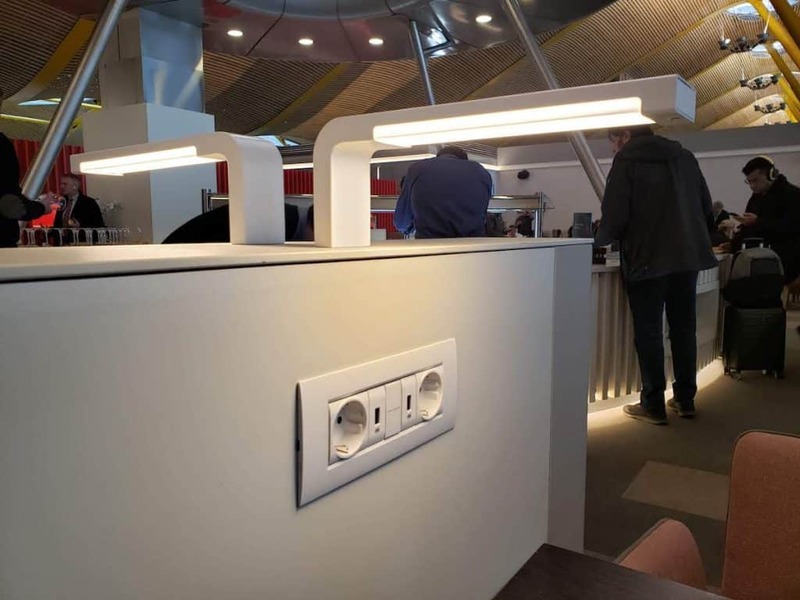 I appreciated that each seat/table has power outlets as well as a light. Directly behind the check in desk is a neat self service luggage locker area and darkened rest area. 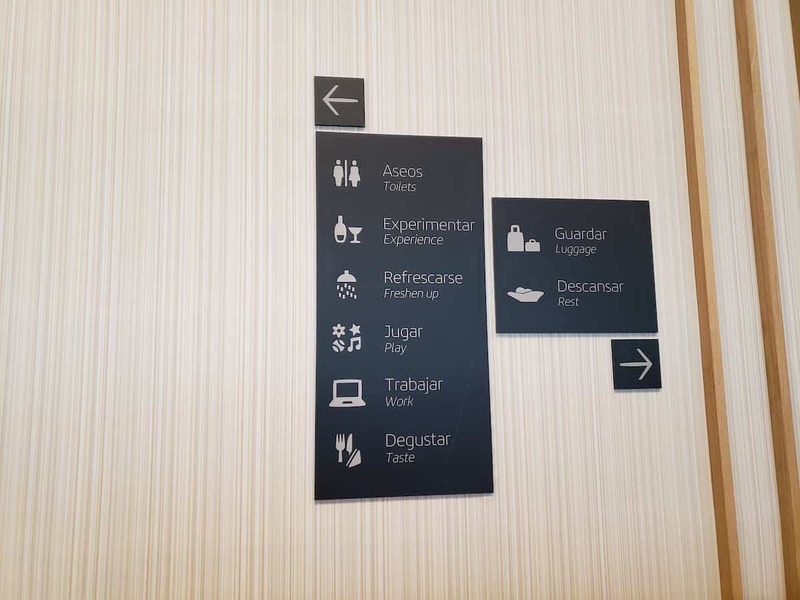 In between the two buffet areas is the “experience” room that, at least during my visit, offered a selection of Spanish wines and a cocktail station. Showers and a kids play area are located at the end of the lounge. There is only one bathroom that experienced heavy usage (it stinks). 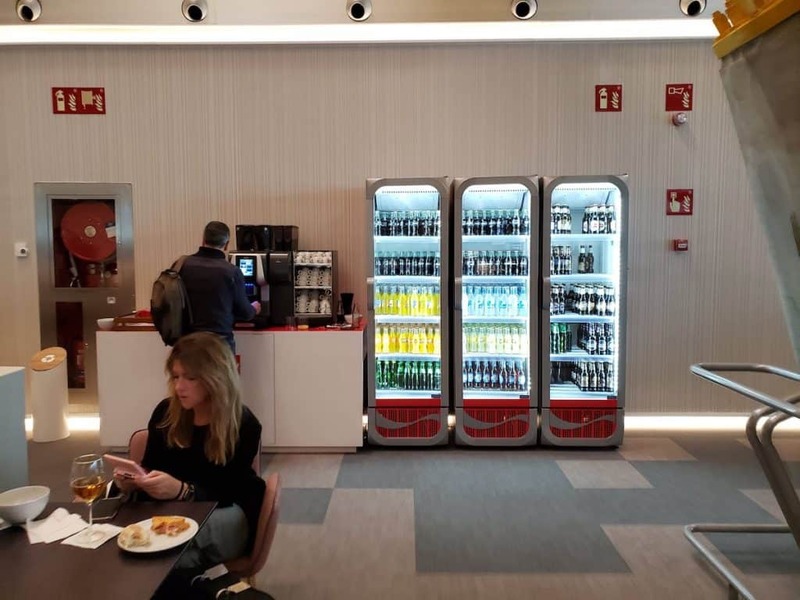 Overall the Iberia Premium Lounge Dalí at the Madrid Airport Terminal 4 is a nice, though crowded, option for a small snack and beverage. The food was not impressive, however the decor was modern and the space well laid out.